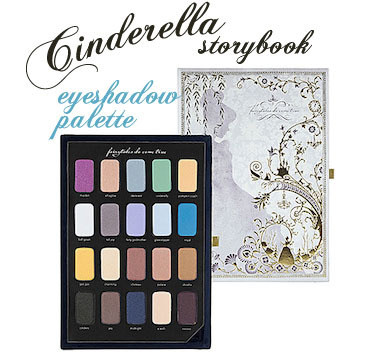 kandeej.com: Oh Cinderelli! Who Needs Prince Charming with this! Oh Cinderelli! Who Needs Prince Charming with this! Not only was she the winning comment, but when I went to verify her Facebook page... her cover photo is Cinderella! Hope you guys like this "blog only" give away...for just my precious Blog family! I love you guys and thank you for letting us spend a little pocket of time together each day! Hold onto your glass slippers, or in my case my mop....I've got the most "HOOORAYYYY GIVEAWAY"!!!! 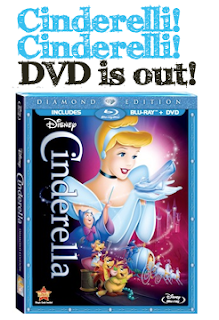 Sidenote: I about had a heart attack of excitement when I saw Disney, let CINDERELLA, out of their "movie vault", and it was for sale in Target last week!!!! I heart Disney and all things Princessy, especially Cinderella, her and Snow White are my favs! 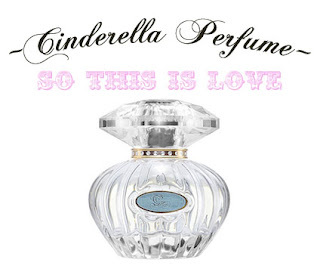 Fresh Aldehydes, Plumeria, Dewy Hyacinth, Tuberose, Sheer Jasmine, Solar Accord, Musks, Plum, Creamy Woods. sweep, mop the floors, and clean the fireplace....just kidding! #1. LEAVE A COMMENT BELOW on who your favorite Disney Princess is? If you already like me, never mind....if you don't...CLICK HERE AND LIKEY ME! You can live anywhere, besides the moon. If you are under the age of 35 18, ask your parents permission! Contest starts this very second and I'll pick and announce the winner next Wednesday on this blog too! My favourite Disney princess is Belle because I think she is so beautiful and her yellow dress is amazing! Plus Beauty and the Beast is my all time favourite movie!! I love belle because she is independent and strong and not afraid to be herself. My favorite princess is Cinderella! She is so beautiful!! I love her story and the mice make the movie so cute and funny!! My favorite Disney princess is Belle because she teaches girls that being smart isn't geeky, it's beautiful in it's own way. Also because she sends a wonderful message that it's what is on the inside counts the most... no matter how "beastly" one may appear, if their heart is beautiful it will shine brighter than any beautiful face. A mi me gusta la princesa kandee, porque es divertida, loca, independiente, emprendedora, hace feliz a los demas, es muy creativa y super buena mama. Esa es la verdadera princesa que me gustaria ser. My favorite Disney princess is Ariel ,because she went for what she wanted. Saying that no matter your age or appearance you can always get things done. My favorite Disney Princess is Pocahontas because she is strong, independent and at all times stands up for what she beleives in. She is also pure at heart and we can learn a lot from her. My favorite princess has always been Cinderella, she was always nice to everyone even if they didn't deserve it. And her story shows that even though we have to go through hardships, there's something much greater waiting for us at the end. My favorite Disney Princess is Snow White because she is the official first princess and I always loved that movie! It is also the first makeup tutorial that I saw of yours. My favorite Disney Princess is Snow White. It was one of the first fairytail books I ever recieved. I dressed up as her for halloween when I was little too. My grandma made my costume :) she was also my favorite because she had black/dark hair like me. Not many princesses did back then! Thank you Kandee, I love you! My favorite princess is Belle because she is smart, beautiful and caring. She is the total package. Awesome giveaway. My fav is Rapunzel because she always had such a positive and cheerful attitude... And I love her songs the best! My favorite Disney princess is Snow white for multiple reasons. The first being that I think she is beautiful on the inside aswell as on the outside. She is kind to all the creatures around her and even the people/ dwarfs that she doesn't even know. She also depict characteristics that I believe are admirable and make her a good role model for young girls. She always happy and looking for ways she can be of help to others. But most of all I love that even though face with the evil of the world she over comes it and is blessed with a handsome prince. Personally my favorite part.Thanks for another opportunity to win another sweepstakes. Love you Kandee. I like several of the Disney princesses, but I think My favorite princess is Ariel, I think she's my favorite because she is adventurous and independent...and she has red hair like me...and she's a mermaid!!! Lol! Even without a voice, she still manages to capture the hearts of those around her with her couriosity and smile! My favorite princess is Belle because I really like the the movie. Also the fact that she loves reading like I do and she doesn't mind what others have to say according to that. Not only that but my husband likes the movie as well and he is big like the beast lol so we agree that that's our movie. My favorite Disney princess is Belle! She loves to read just like me. And she was strong and independent. My favorite is Cinderella of course! Hmmmm.....glass slippers and a makeover????? need I say more Fairy Godmother??? My favorite is snow white because when I was born my grandpa called me it...cuz I was white and dark hair....however I would like to try to win this because my sister loves Cinderella...thanks Kandee. :). I love Ariel! She's been my favorite since I was 1 (when the movie came out). Her voice is beautiful and she's fun and brave! My favorite princess is jasmine, she's got the most amazing skin and always looked so pretty in teal. Not to mention Aladdin was the best looking prince! My Favorite Disney Princess is Jasmine from Aladdin cause I love her style!!!! I also love Jasmine, because I think she is the prettiest of all of the princesses!!! My favorite is Cinderella because even though she had a hard life she still got what she always deserved in the end. I think it showed not only me but all girls that no matter how hard it might be now or how u r treated by others even family don't give up. Ariel! Her sense of humor and innocence! -Lynnettemariet on instagram! My favorite princess is Mulan because when she saw her family and country in need she stood up for both of them and she didn't spend the entire movie trying to get a man instead she saved China! I love all of the Disney princesses because they each have a very important lesson to teach. Walt Disney and his amazing creative team have taken these extrordinary women and has given them life and love and has really instilled that as women we should trust in God and be strong. I think as my second comment, it's important to commend you for being such an amazing person. We are all inspired by how well you handle trials and tribulations in life, they way you make God and family for first priority and how you bring those two important things into your tutorials. We are so happy to be part of your world. If anyone should be made into a Disney princess it's you. You are everything a Disney princess should be. We love you Kandee. I love Cinderella,she has a open heart and she found happiness just being herself. For my extra comment-yay- I want to acknowledge the importance if our princesses of color. Tiana is my favorite because of her determination and drive. I can relate to her passion and the AMAZING music from her movie is an American jewel! I love Sleeping Beauty because I have the same name as her. I am obsessed with everything about her. I even watch the movie on my birthday every year! I love cinderella because she always stayed positive when people spoke down to her. My favorite disney princess is pochantas because she cared about everyone and everything plus I love the songs! I remember when I was little my school choir got to sing Colors of the Wind! My favorite Disney Princess is Ariel because she is a ginger like me. I was adopted at about 6 weeks of age by an Italian family and didn't look like anyone. Ariel was someone I could identify with. I love Cinderella because she taught us that no matter who you are, where you come from or what you do, dreams really can come true! My favorite princess is Ariel, because I associate most with her. Her connection with her father and the way she is curious with the world, in her case the human world, mine is the beauty of the world around me. I love bell from beauty and the beast. She found the real person under the beast. She didnt judge him. She never gave up on him. I do love pocohantas. She teaches girls the best lessons. My favourite Disney princess is Cinderella because she shows us that there is always light at the end of the tunnel. It is such an enjoyable movie, though I haven't seen it in years! my favorite princess is snowwhite. that is actually my nickname because i am so fair and have dark hair! That's a tough one, I love all Disney. If I had to choose, Cinderella. She is so kind and good. My daughter was cinderella and my baby son the mouse for halloween a long time ago. I even named my cat gus gus. My favorite is Belle! She was so brave to take her fathers place! My favorite Disney princess would be Belle. I can totaly relate to her love of books. I also love how she falls in love with the beast. P.s. I "liked" you on Facebook! My favorite disney princess is .... Princess AURORA because she is so beautiful and looks so sophisticated.. Love her golden blonde hair and red lips Plus i have memories of my mom leaving me in the movie theater when i was young while she went to do her chores and she'll pick me up after the movie was done and i think i watch sleeping beauty more than 10x in a row lol... The witch was so scary and when she transform herself in a dragon! How cool is that!!!! Anyways AURORA all the way, it was also the first dvd i bought for my daughter! My favorite princess is Ariel because I love how she sings she is beautifull and she lives in the ocean! My favorite princess is Belle. She's quiet yet beautiful. She's embodies inner and outer beauty. I loved Ariel! I wanted to be a mermaid so bad when I was a kid! Lol! I used to get fabric from my moms sewing room to try and make a tail or a dress so I could dance and sing and pretend I was her! I love Ariel because she was always a dreamer. She had some stunning hair and was always looking g for adventure! I just posted on Facebook... I remember the first time I saw The Little Mermaid. My Aunt took us to the theater and my cousin and I had the coolest mermaid bubble necklaces. I loved Ariel from the start. I just tweeted about your giveaway as well! I hope I win this is my second fav Disney movie!! My favorite princess is Cinderella because she is very kind and sweet. I used to watch the movie everyday as a child. My sister was Cinderella and I was Gus Gus for Jalloween when we were little. My favorite princess is Snow White, I loved how she was so sweet and kind. I love Jasmine. She's the first dark haired princess I ever saw. Plus, she's got this cute guy who adores her and would do literally anything for her. Gotta love that! It's hard to pick just one becuz i've always loved all the Disney princesses but if I must, I can narrow it down to a top 2... One is Ariel because she was the first princess I loved as a little girl! I would pretend I was a mermaid, and I dressed up as Ariel for Halloween! The other is Belle because I have always loved reading and Belle is an example that being smart and enjoying reading is beautiful! My favorite Disney Princess is Mulan (closely followed by Pocahontas). She showed tremendous courage, determination & selflessness by disguising herself as a boy and joining the army as replacement of her father. A beautiful person inside and out and the fact that she didn't need a man to rescue her is a lesson all girls (& women) should learn! I loved Belle growing up because she was a bookworm like me :) But now I love Cinderella because she is my grandma's favorite princess and we are so very close. Everytime I see anything Cinderella I think of her and it makes me smile. I have 3 daughters who all love princesses, so we smile a lot around here :) Even if I don't win I may have to go buy these products and have a glam day with my girls because they would love these, and every little girl deserves to feel like a princess! My favorite dysney's princess is Cinderella because even when all her life she was mistreated and the ones she loved where gone, she kept on dreaming untill she got her happy ending. There are many kids in the world suffering real sadness and being humiliated for those arounund them. And Cinderella is a very nice way to send them a clear message. Dont quit dreaming. Also for the not so young, not only she did dream but treated everyone with the kindnessof her heart. If we all would do that and it will spread all over as a massive wave of kind thoughts and actions, I am sure thw world will finally heal and it will be the place we all want our kids to grow up in. I would say my favorite would be Belle. She is smart, selfless and falls in love basses on the true person not looks. My favorite Disney princess is Belle bacause she was beautiful and brave. And wasn't concerned about looks but saw what was on the inside! My favorite Disney princess would have to be Belle. She is kind and she didn't mind being herself, even when everyone was judging her. She also fell in love with the beast because she loved his personality instead of looking on the outside. Thank you kandee for this wonderful giveaway:) have a nice day! Thanks for make me smile all the days , i need it so much ! my favourite Princess is Mulan! My favorite Disney princess is Ariel. She went after what she wanted and didn't let anyone stop her! She gave up everything to get to her prince charming! My favorite Disney Princess is Mulan. She is strong, brave and showed everyone that what a man can do a women can do to. The best part is that while the other princess were going after there prince she saved china. I love that! Of course I like you on facebook!!!!! My favorite Disney princess is Ariel because she's so enchanted with learning about new things. She's independent, not super frilly and she lives in the ocean, my favorite place to be! When I was younger I would swim and watch my hair trail behind me like hers and sing underwater. She's definitely my favorite! My fav Disney princess is Belle...because she is a strong and independent lady! My favorite Disney Princess is Jasmine, because she took charge of her own destiny! My favorite Disney princess is Cinderella because it's a beautiful love story and it teaches us that you don't have to be born rich to be a princess! It also teaches us that your dreams can absolutely come true with a little elbow grease and a little bit of magic! My favorite disney princess is Mulan (even though i love ALL of them!) Because she is soo strong, knows what she wants, had a great head on her shoulders and beautiful ! My favorite Disney princess is belle. Since i was a little girl all i remember watching was beauty and the beast. I've watched it so many times that the vcr player my parents played it on broke with the movie in it so they had to go buy a need movie and vcr player LOL. But i love her for being herself and not having to change and seeing love in everyone. My favorite princess is Ariel because I want to be a mermaid so badly!!!! My favorite princess is belle, I live beauty and the beast. Cinderella really is the classic Disney princess!! My favourite Disney Princess is Belle. Because like 2 of ny idols, Grace Kelly and Kate Middleton she was just an ordinary girl who became a princess. She saw the beauty in everything, even if it was really far from the surface. She loved her daddy so much she risked her life for him, family meant everything to her. Also it was the 1st Disney film I ever got, Santa bought me the VIDEO! My favorite Disney princess would have to be Ariel. I absolutely love her because she is beautiful, and so innocent and willing to do anything for love. Also because she's a mermaid. I mean how cool is that?! Okay, so I tweeted your giveaway just so that I can tell you thank you for all the amazing videos you've made and will make. You are such an amazing person, with such a kind heart. Beautiful inside and and out. Every time I watch one of your videos I have an instant smile on my face because your love and enthusiasm is so contagious, it just jumps out and touches you. You make so many people smile and I wish you the absolute best in everything you do. Because we all know you are a true princess. 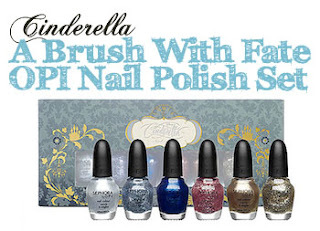 My favorite princess is Cinderella because I want to win this giveaway. I love princess Belle because I always looked up to her when I was little. She is beautiful and caring and loving and always sees the good in people (even a beast! haha). I love Belle because she's strong, independent, smart and beautiful inside and out. She speaks her mind and isn't afraid to be herself. That's what every little girl needs growing up, a role model like that. My favourite disney princesses are jasmine and ariel the little mermaid. Jasmine because shes beautiful and who wouldnt love a pet tiger right?! And ariel because she is redhead like me and the whole story is magical and romantic!! My favourite princess is mulan because I think that I am most like her haha! But she sacrificed herself for her father, and that shows what great love she holds for her family, she would do anything for them. I have good memories of watching this film with my sister, we used to think it was hilarious! My favorite princess is Mulan because she has the strength to fight for her beliefs and prove to the world that women are strong, powerful, and tough! I guess Cinderella would be my favorite Disney princess, because even though she's so beautiful she didn't think she was better than anyone, not even her mean stepsisters! And she was happy just cleaning the house. When life gave her lemons, she made lemonade! And she was nice to everyone, so she was also beautiful on the inside! Also, the movie Cinderella brings back childhood memories, because I used to watch it as a child. My favorite princess is belle. Because she looks beyond the beast and finds his heart. Everyone has a heart and some good in them, sometimes you just have to dig deep and take the time! My Disney princess is Mulan. Not only is she strong and confident but she beautiful inside and out. Fav princess is Snow White. She started it all. She is adventurous, loving, kind, an animal lover, and even when she was supposed to be dead, she managed to snag a prince. It doesn't get better than that! I already commented once but didn't have a Google account, so I'm commenting again with a Google account. Hope that's ok! Like I said before' Cinderella is my fave Disney princess because she is so sweet & beautiful inside & out. My favourite Disney princess is Mulan because she is powerfull, she fights them all and she wins the 'prince' heart not because she is a princess but e cause of her power and everything she did. My favorite princess is, and always has been, Ariel! She's so curious, and longs to see parts of the world that she can only dream about at first. I always thought that she was so brave, because she went to Ursula (Ursula really scared me as a kid, haha). My favorite Disney princess is Cinderella because with a positive attitude, strong work ethic and a lot of help from God there's nothing hateful people can do to keep you from an amazing life! My favorite Disney princess is Belle from Beauty and the Beast. I loved her because she was smart and independent. She didn't care what people thought about her and wasn't sucked in by Gaston's superficial advances. She loved to read and I am a major bookworm and have been for as long as I can remember. She also had brown hair and so did I, haha. Just shared this on Facebook. Yay! Just shared this on Twitter. Double yay! 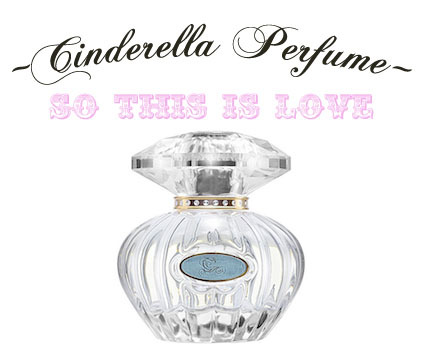 Cinderelka will always bwe my favorite! She is kind to everyone! I know every line of that movie by heart! I love Belle Because she has a sacrificial love and makes the best of her circumstances. I already like you on Facebook, so for my second comment Cinderella is also my fave! Mainly because she is such a kind hearted person, the movie reminds me if my childhood, we had all the Disney classics. Thanks for doing this give-away kandee! I also love Belle because she is so courageous. She knows how to follow her heart and love the beast for beauty he has inside and also brings out the best in him too. My favorite princess is Thumelina, because she is the proof for that no matter how little you are, you are beautifulboth inside and outside! My favorite princess is Rapunzel because she is optimistic and light hearted. She also teaches us it is never to late to follow your dreams. Her hair teaches girls you don't need flowing golden locks to be beautiful and Flynn Rider is one of the cutest Disney men. She teaches Flynn it's ok to be yourself. Her songs are so fun and happy too! My favorite princess is Rapunzel! I love tangled and i look and act just like her! I'm auditioning to be her at Disney world in January, every girl is a princess and my dreams would come true if I got to be her in real life . Love you Kandee! My favorite is Belle because she looks past the beasts appearance and falls in love with him because of what he has on the inside. That is something a lot of people have trouble with, always judging people without getting to know the real them. My favorite Disney princess is Jasmine because... She wore that genie-looking outfit!! Serious Awesomeness right there!! I loved how she wanted to be accepted and wanted for who she was and not her title of princess. All of us want to be loved for who we are, right? My favorite was Cinderella because she made me believe anyone could have a fairy tale ending. I would wake up every Saturday morning before everyone else finger just to watch Cinderella. My favorite Disney princess is belle. She's smart, independent, and beautiful. I love that she teaches us that beauty is most important on the inside. I love that movie so much!! My favorite Disney princess has to be Belle! Beauty and the Beast was the first movie I can ever remember watching over and over again. Belle is brave and beautiful, she taught me that it isn't just about what's on the outside that matters its about what's on the inside that really counts, and to never judge a book by its cover. My favorite princess is Cinderella because shes beautiful and her story is the most amazing ever. My all time favriot is princes belle because I have a childhood memory of my mother renting the movie on VHS when i was five & I absolutely fell inlove. I watched that movie countless of times it truly a beautiful movie. & always brings back childhood memories. My favorite Disney princess is Cinderella because she managed to remain positive with whatever life threw at her. Not to mention that she has the voice of an angel, can talk to animals, has a fairy godmother and gets to marry Prince Charming!! !